Rome is known by many names and not just translations into other languages. 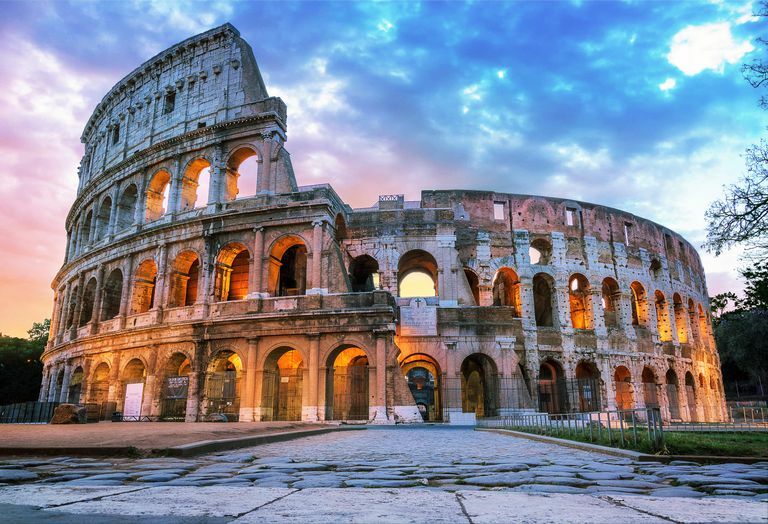 Rome has had a recorded history for more than two millennia. Legends go back even further, to about 753 B.C. when the Romans traditionally dated the founding of their city. The city is Roma in Latin, which is believed to have come from the city's founder and first king, Romulus. In this theory, the history of the term coming from the founders of Rome, Romulus, and Remus, translates to 'oar' or 'swift'. Presumably because of its long life, at the time of its sack by the Goths, in A.D. 410, people were shocked that Rome could suffer. There are also additional theories that 'Rome' derives from Umbrian with the significance of meaning "flowing waters." When looking at ancient dialect maps, ancestors of Umbri likely were in Etruria prior to the Etruscans. It was after this disaster that St. Augustine wrote his City of God. At any rate, because of its tenure, Rome has long been known as the Eternal City, a name the Latin poet Tibullus (c. 54-19 B.C.) used (ii.5.23). Rome has been called Urbs Sacra (the Sacred City). Rome is also called Caput Mundi (Capital of the world) and because it was built on them, Rome is also known as the City of the Seven Hills. There are multiple theories that there is a secret name of Rome, rumored to be Hirpa, Evouia, Valentia and more. Several writers from antiquity have noted that Rome had a sacred name that was secret and that revealing the name would allow the enemies of Rome to ruin the city. Thus, when Valerius Soranus spoke the name, he was crucified in Sicily due to the danger of the threat. "All roads lead to Rome." This idiom means that there are many different outcomes oir ideas to get to the same goal. It derives from the Roman Empire's road system which was located in the center with all roads connected to it. "When in Rome, do as the Romans do." Like other cultures, the idea here is to adapt to your environment depending on where you are visiting. Match your behavior and language to the culture surrounding you. "Rome wasn't built in a day." Great projects take time. Reading between the lines, this phrase means to be patient and persevere in building a masterpiece can't happen all at once. Who Were the Most Legendary Heroes of Ancient Greece and Rome?